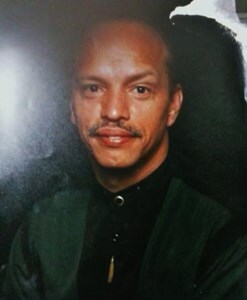 Robert Arthur “Coco Pops” Remley, 67, of Louisville, Kentucky, passed away on Monday, February 4, 2019. He was born on February 18, 1951 in Cambridge, Ohio. Coco Pops loved watching sports. He enjoyed his Bud Light, Pepsi and was a ladies man. He will be truly missed by those that knew and loved him. He is preceded in death by his Father, Claude Kimbro, Daughter, Natasha Banks, and his Sister, Allie (Kimbrough) Braswell. Robert is survived by his Son, Deon (Danielle Lucas Gresham) Gresham, Daughter, Tameki Remley (Henry Dishmon III) Dishmon, Grandchildren, Jaeda, Kalen, Kylan, Janae, Deja, Dion Jr., and Deslyn, Great Grandchild, Quincey Jr., Special Friends, Kathy Pruitt and David Fowler, and a host of Nieces, and Nephews. Visitation will be from 12:00 pm to 2:00 pm on Tuesday, February 12, 2019 at Newcomer Cremations, Funerals & Receptions - Southwest Louisville Chapel, (10304 Dixie Hwy). His Funeral Service will be at 2:00 pm on Tuesday at the funeral home. Per his wishes the family has chosen cremation. Add your memories to the guest book of Robert Remley.